Image: Photo credit: Anastasiia Noga. Featuring Untitled, 1980 by Donald Judd © Judd Foundation/ARS, NY and DACS, London 2017. #AnotherGallery explores the changing dynamic of the public’s interaction with museums and galleries on social media. Comprising photography and video, the exhibition considers how the public engages with the gallery space, taking pictures, sharing content and in the process blurring the boundaries between originality and ownership. The exhibition has been curated by students from Central Saint Martins in collaboration with DACS, the flagship visual artists’ rights management organisation. Students from the Culture, Criticism, and Curation BA course were given a brief to pitch an exhibition idea on the theme of art and copyright – with the winning proposal realising their exhibition at DACS’ space in East London. 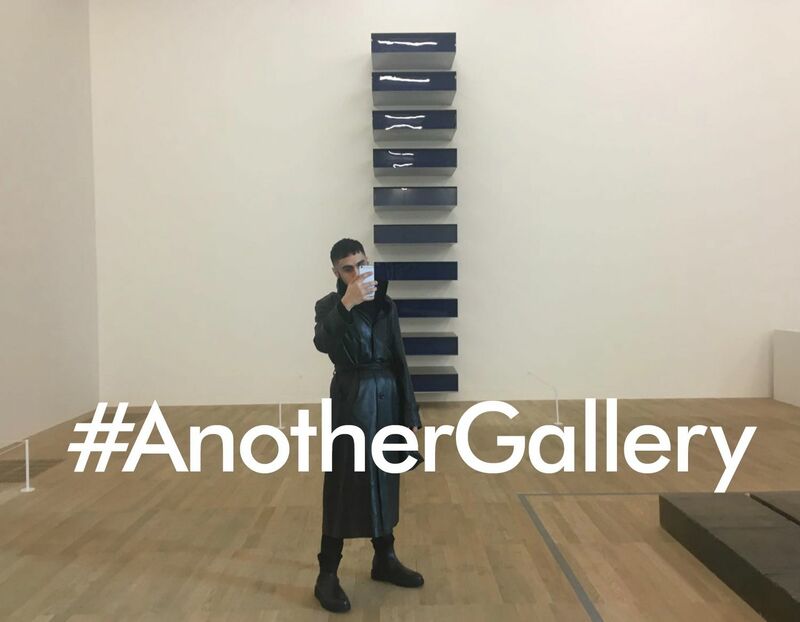 The winning idea, #AnotherGallery, was developed and curated by four Central Saint Martins’ students, Helene Jackson, Irini Khenkin, Anastasiia Noga, and Emily Takeuchi-Brown.